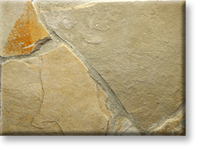 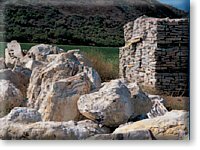 Description The Lompoc Country Wallstone is a blend of our oatmeal and scrambled egg color with a creamy tan body and vivid gold and gray highlights. 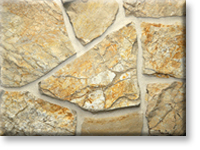 Pieces will range from 8"x 8" up to 14"x 14" and are approximately 3" to 5" thick. 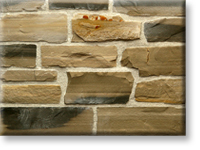 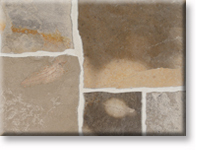 It is also available in a matching Country Ledge and in a natural stone thin veneer. 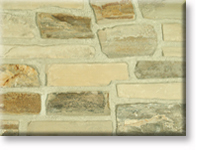 Application & Use Residential or Commercial applications for: veneer for interior or exterior walls, columns, fireplace faces, chimneys, barbecues, planters, waterfalls, water features, ponds, swimming or natural pools, paving driveways, patio entries, certain floors, decks driveways; wall caps for capping of walls, seats, lampposts, column cap, coping, water-tables and sills. 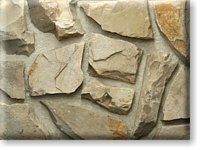 Landscape features, groupings, central features as small slabs in place of boulders. 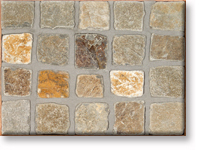 Size 8"x 8" to 14"x 14"
Average Bed Depth 3"- 5"